Silhouettes are used and over used in vector graphics. 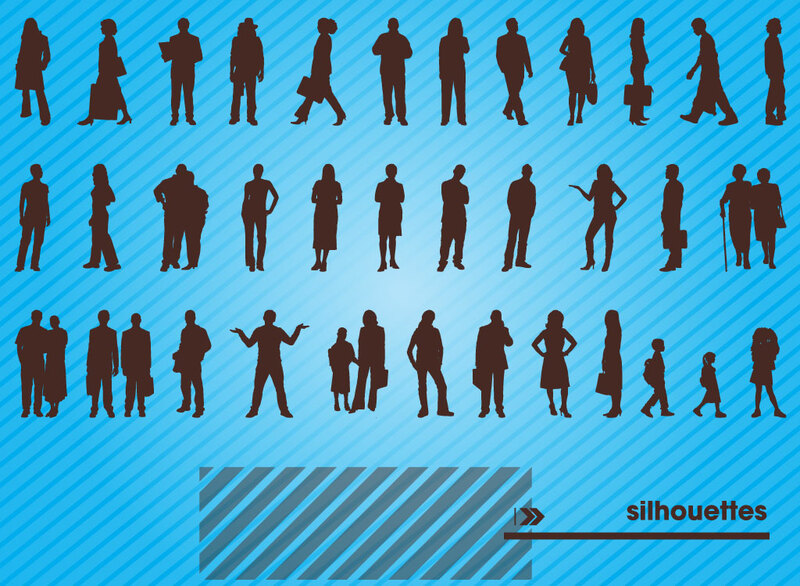 Download this set of silhouettes for your collection. Save yourself time with ready made vector art. Tags: Active, Business, Dynamic, Office, People, Poses, Silhouettes, Standing, Walking.